Medicare beneficiaries spend a lot on prescription drugs. For instance, medications accounted for $100 billion (14 percent) of Medicare spending in 2017, which is more than double the $49 billion that was spent in 2007. With many senior citizens on fixed incomes, it is no wonder they are looking for ways to save. Unfortunately, the federal government doesn't allow using drug coupons together with Medicare Part D. However, that doesn't mean you can't use the coupons at all. Learn more about drug coupons, Medicare Part D, and how to know which option to use. It's illegal for pharmaceutical companies to offer discounts for medications that you purchase through Medicare due to the Social Security Amendments of 1972. Included in those amendments is the Anti-Kickback Statute (AKS). The AKS prohibits anyone—drug manufacturers included—from giving a customer anything of value that could result in referrals for items or services that are paid for by a federal healthcare program. Unfortunately, drug coupons and rebates fall into that category. If a pharmaceutical company entices you to choose more expensive options, Medicare would likely spend more money than it would if you took lower-cost alternatives like generic medications. Even though the manufacturer is offering a discount, their drug coupons are usually reserved for their newest and most expensive medications. Those drug coupons are usually short-lived and have annual maximums that would leave you and Medicare accountable to pay the remaining fee for the rest of the year. The AKS was enacted to prevent anyone from abusing the system. In this way, Medicare is able to keep its costs down. Unfortunately, this doesn't necessarily help people who are trying to get their medications as soon as possible. It is perfectly legal to use drug coupons. However, you have to pay out of pocket and are not able to use your Medicare Part D plan for that prescription. The problem is that it is not always clear when you would save more money: is it cheaper to pay out of pocket or with your Part D plan? This confusion is a result of pharmacies that are not always forthcoming or totally clear about your options. Pharmacy benefit managers (PBMs) act as "middle-men" who negotiate contracts between pharmacies and pharmaceutical companies. They establish drug formularies, set up discounts and rebates with drug manufacturers, and process claims for prescription medications. In many states, part of this contract negotiation includes what is called a pharmacy gag rule. In the case of a pharmacy gag rule, the pharmacist is not allowed to tell you about less expensive medication options. This is not surprising when you realize that the PBMs are trying to protect their investments. They want you to use the drugs on their formularies so that they can generate the most profit. That could leave you to pay more than you need to. Some states have taken action against this practice. Connecticut, Georgia, Maine, and North Carolina banned pharmacy gag rules in 2017. Ten other states—Arizona, Florida, Missouri, Mississippi, New Hampshire, New York, Pennsylvania, South Carolina, Virginia, and Washington—introduced legislation in 2018 that would also put an end to pharmacy gag rules. The federal government has also gotten involved. In September of 2018, the United States Senate unanimously passed The Know the Lowest Price Act of 2018. This legislation specifically prevents PBMs from setting up pharmacy gag clauses that would affect Medicare beneficiaries. Another bill, The Patient Right to Know Drug Prices Act, aims to provide the same protections for people who have private insurance. It is not always obvious when you should use a drug coupon instead of using Medicare. 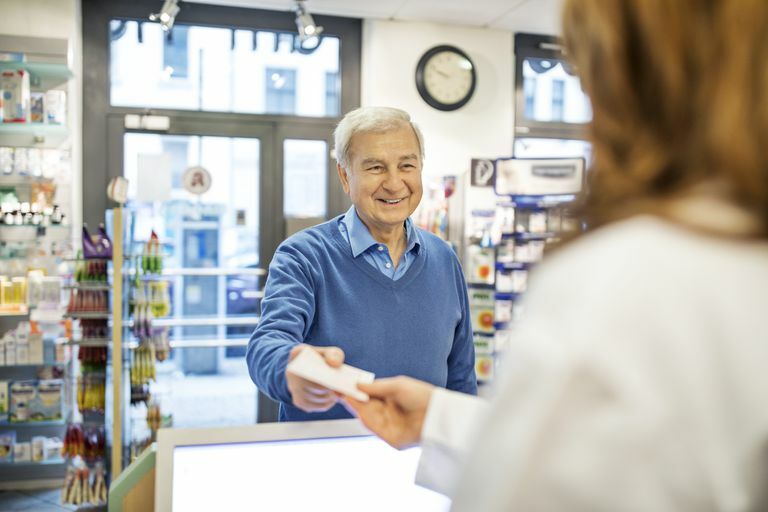 Since The Centers for Medicare & Medicaid Services (CMS) requires that a pharmacist use your Part D plan unless you specifically say not to, you need to speak with your pharmacist. Pharmacists can help you to figure out whether or not a drug coupon gives you a better deal than your insurance copay would. You will need to make a decision based on your personal situation. If you have tried other cost-effective options for your condition and they have not been effective, it is reasonable to consider a medication that is not covered by your Part D plan. However, you must consider that the medication could increase your out-of-pocket costs when drug coupons are no longer available. A deductible is an amount that you must spend each year before your insurance kicks in. If you have a high deductible (the maximum deductible for Part D is $415 in 2019) and do not expect that you will spend more than that amount over the course of the year, it may make sense to use drug coupons instead of your insurance. Part D plans have an unfortunate coverage gap known as the donut hole. After spending a certain amount each year (which is $3,820 in 2019), your Part D plan decreases coverage. In 2019, you will pay 30 percent for brand-name drugs and 37 percent for generic drugs during this time. To keep costs down, it might be reasonable to use drug coupons during this time. You may be on a medication that was covered by your Part D plan in the past, but now the plan has changed. For instance, it may now cover a smaller portion or even none of the cost of your medications at all. In this case, using a drug coupon is something to consider. Your best option is to get on a different Part D plan that better suits your needs. Since you cannot change plans until the annual Medicare Open Enrollment period, you may consider using drug coupons in the meantime. You may not be able to use drug coupons with Medicare Part D, but that does not mean that you cannot use the coupons at all. You have a choice to make. Either use the drug coupon, or use your Part D drug plan—whichever saves you the most money. If you are unsure of what to do, talk to your pharmacist. Now that pharmacy gag rules are dissipating, you have a place to turn to learn about your best options. Congress.gov. S.2553 - A bill to amend title XVIII of the Social Security Act to prohibit Medicare part D plans from restricting pharmacies from informing individuals regarding the prices for certain drugs and biologicals. Cubanski J, Neuman T. The Facts on Medicare Spending and Financing. National Academy for State Health Policy. State Legislation that Bans Pharmacy Benefit Managers’ “Gag Clauses”. U.S. Department of Health and Human Services / Office of Inspector General. Manufacturer Safeguards May Not Prevent Copayment Coupon Use for Part D Drugs.